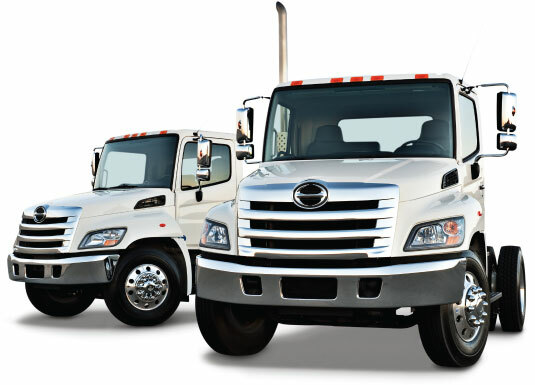 Hino Ottawa-Gatineau offers long-term truck rental for businesses via Mantha Leasing, our truck rental division. Our division provides long term full service leasing. From truck rentals to contract maintenance, there’s a transport solution option for you. With Hino trucks as your fleet’s transportation solution, we can guarantee a cost efficient truck that will keep your business in motion. Awarded #1 in Canada, Hino’s fuel economy and reliability, combined with unparalleled service, will help you surpass your business goals. We have the right truck, when you need it. We offer full-service lease and contract maintenance solutions to manage your transportation needs. Truck leasing allows you to take advantage of new equipment without consuming valuable cash, which can then be devoted to your core business needs. Keeps your truck on the road, allowing you to maintain high customer service standards. Your Mantha lease program offers flexibility with terms of 24 – 36 – 48 and 60 months. Our goal: to keep your business up and running. With Mantha Leasing, you get the peace of mind you need to dedicate your energy and working capital where it’s most needed: your business! Come visit one of our leasing representatives at any of our 3 locations and BUILD YOUR OWN LEASING PROGRAM!